Music through the Ages in 2 Volumes. Composed by Peter Batchelar and Richard Wright. Time Pieces (ABRSM). Education. Collection. 40 pages. ABRSM (Associated Board of the Royal Schools of Music) #9781860967412. Published by ABRSM (Associated Board of the Royal Schools of Music) (A3.9781860967412). ISBN 9781860967412. 9 x 12 inches. 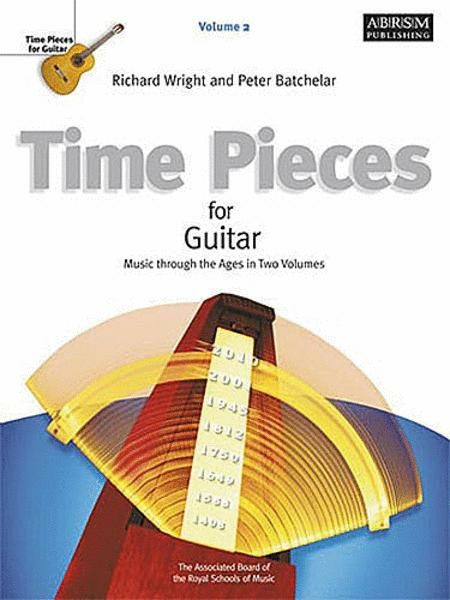 Time Pieces for Guitar is a two-volume anthology of well-crafted and idiomatic arrangements of music from the 13th century to the present day. The pieces are presented chronologically within each volume and include the year in which they were written, so you get a sense of the different styles of music through time.